If you have grown a bounty of vitamin-rich, hard-shelled winter squash and pumpkins from your garden this season, you'll want to save them for fall and winter eating. With a little preparation, you can be enjoying these sweet and delicious nutritional powerhouses long after the outdoor summer garden season is over. Both winter squash and pumpkins are not fully ripe or ready to harvest until they are heavy and fully colored and, most importantly, their outer rinds are thick and toughened up and cannot be pierced with a fingernail. At this point, the vines will be yellowing and dying back. Cut rather than pull the squash and pumpkins from the vine, leaving several inches of stem attached. If you live where fall weather is dry and fine, you can let them cure for 10 days to two weeks on top of the ground, but if it is rainy and wet, bring them inside. For longer storage, hard-shelled winter squashes and pumpkins must be "cured" – a process that allows their shells to dry and toughen completely for longest keeping. Select only the best specimens for winter keeping. Any bumps, bruises, broken stems, or slightly rotten spots will spread to other stored vegetables, so eat the less-than-perfect ones promptly. 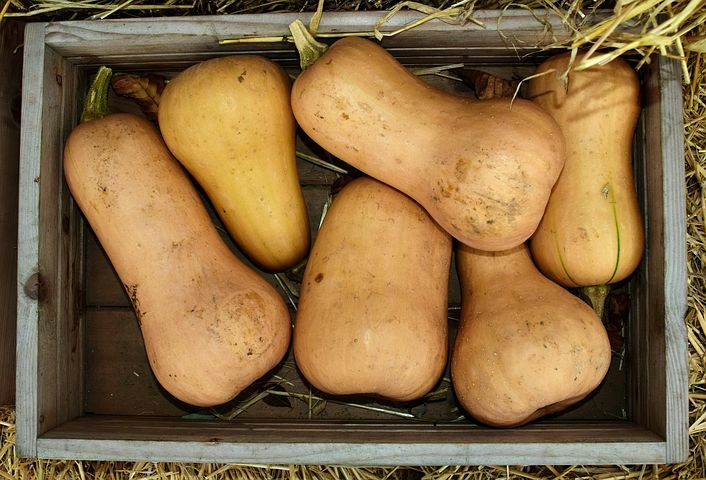 Cure the winter squashes and pumpkins you plan on storing in a warm, well-ventilated spot for several weeks. Temperatures in the 70-85 degree F range are ideal. If it is too cool or wet at harvest time to achieve these temperatures outdoors, you can group the vegetables in a warm spot of the house or on a sunny back porch where they can be sufficiently rested to toughen their skin. 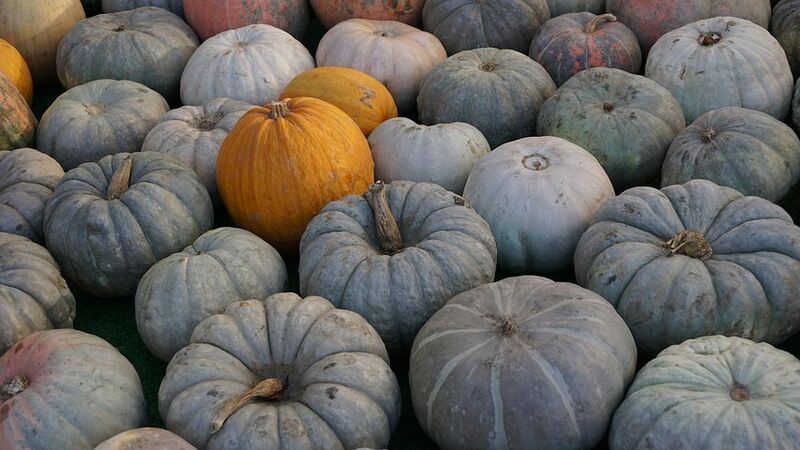 After curing, pile the squash and pumpkins in a cool place (45° F to 55° F) with low humidity. If you don't have a root cellar, any cool, dry, dark spot is fine — try a spare room, closet floor, attic floor, or even a large, cool cupboard. Wherever you store them, check the vegetables regularly and remove any that are getting soft or look as if they're starting to rot. It's only natural that some will keep better than others. By the time your winter squashes get soft spots, you'll probably have eaten enough frozen summer vegetables that there's room in the freezer for some new additions. If a squash starts to soften, cut it up and remove the seeds and the soft spots. Then cut the squash into chunks, steam or boil them, remove the skins and freeze the cooked squash in containers. For more information, visit ezfromseed.org.